When family caregivers are taking care of their elderly relative, it’s easy to overlook nail care. Nails are more than ornamental—they are made of a tough protein called keratin. Fingernails and toenails undergo considerable change as the body ages. It’s important to learn the proper way to care for your relative’s nails and recognize what is a normal part of aging and what may be a sign of a more significant health issue. In the elderly, it’s common for toenails to increase in thickness. It can be very easy for split fingernails or toenails to occur, so seniors should avoid putting too much pressure on them. The nail’s shape can also be affected by age. Typical fingernails and toenails are curved but they may start to look different in seniors. Everything from decades of tight shoes to poor circulation can affect how the nails curve. With some shape changes, it’s possible to increase ingrown fingernails and ingrown toenails. It’s not unusual for fingernails and toenails to discolor with age. Usually, they turn yellowed or gray. It’s not uncommon for fungal infections to discolor the nails, either. Because seniors bruise more easily, a hard hit on the nail could cause some discoloration as the bruise forms. If family caregivers or homecare assistants notice dark stripes along the nails, however, it could be a symptom of melanoma. The senior should be taken to the doctor to get an official diagnosis. The growth rate for fingernails and toenails slows considerably with age. The average adult’s fingernails grow about 3 mm per month, while a child’s nails grow faster, a senior’s nails grow slower. Fingernails grow faster than toenails, about four times faster. This means if something happens to an elderly person’s nail, such as a tear or rip, it can take a long time to repair itself. 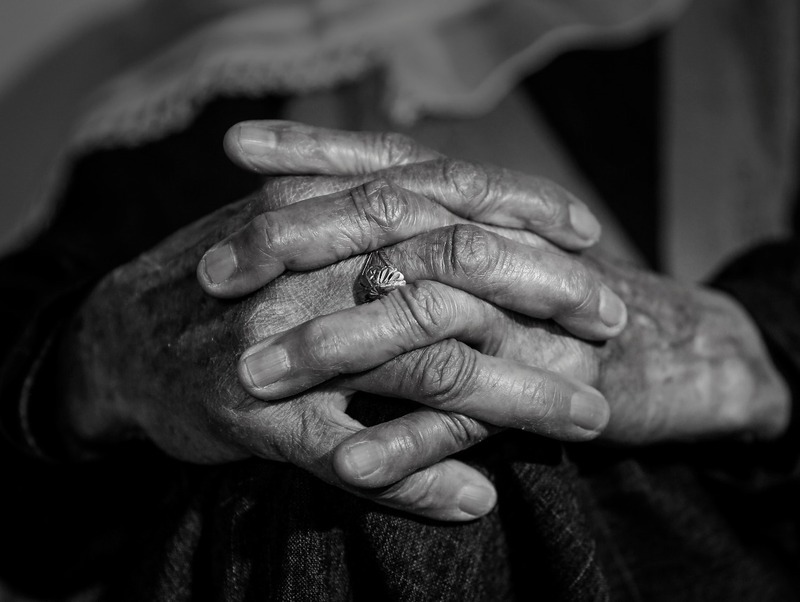 Smooth nails are commonplace, but family caregivers should not be alarmed if they notice a series of ridges on their elderly loved one’s nails. These ridges usually run the length of the nail and split off at the nail tips. While toenails tend to get thicker and discolored, fingernails usually grow thinner and more fragile. Moisturizer can help relieve brittleness and dry skin, so family caregivers and homecare aides should help the senior apply it daily. It’s easy for the elderly to tear their fingernails so family caregivers need to be careful when filing or clipping. For extremely thin nails, family caregivers should think about applying a nail thickening polish to lend strength. Family caregivers may not know that any sudden or unusual changes in the appearance of fingernails or toenails may be a sign of hidden health problems. Many diseases and illnesses can manifest with signs that appear in the nails. It’s important for an elderly loved one with unusual nail conditions to see a doctor or dermatologist if there is any worry about the changing shape or color of the nails. With consistent care and proactive approach to checkups, seniors can enjoy excellent nail health.